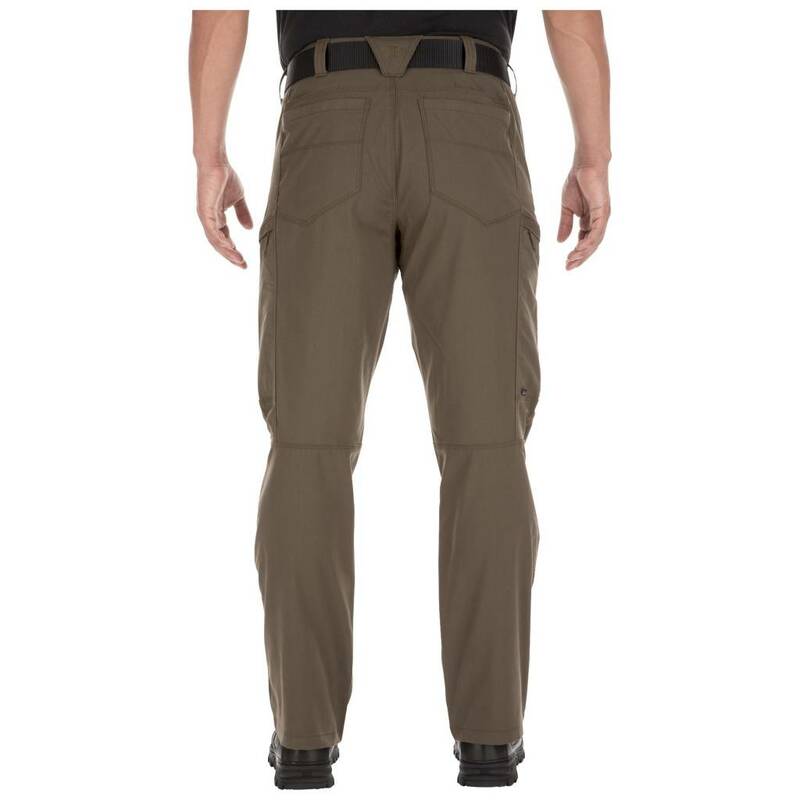 Combining precision engineering, functional design, and resilient construction, the Apex™ Pant is a next- gen cargo pant that exceeds expectations in any role. 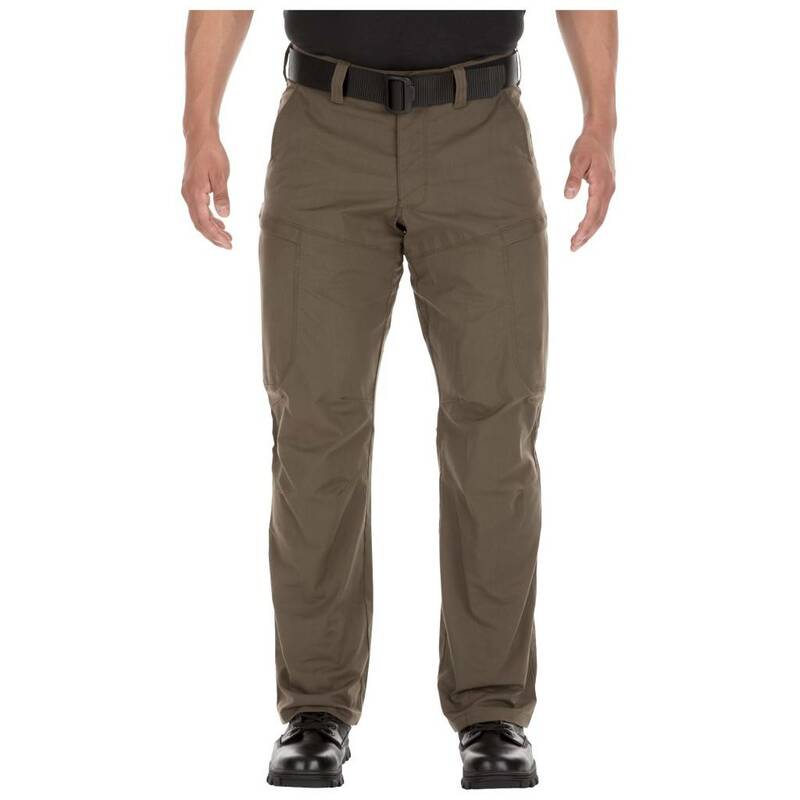 Ideal for tactical, casual, or covert wear, the Apex Pant is built from 6.4 oz. 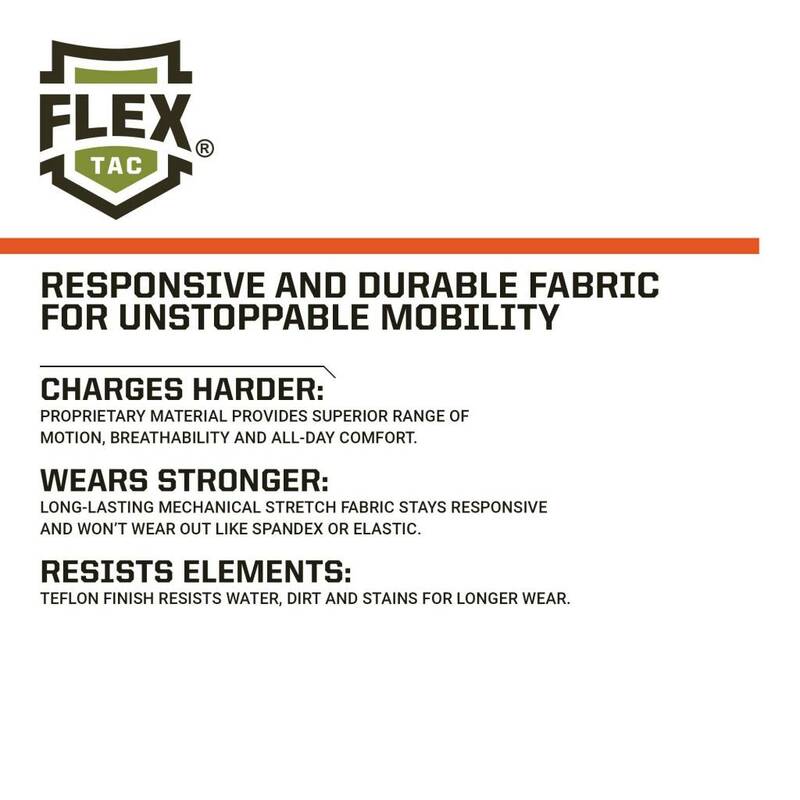 Flex-Tac® mechanical stretch canvas that offers extreme durability while remaining flexible and mobile. Front hip pockets feature reinforced fabric at the knife clip, and thigh- mounted cargo pockets are deep, smooth, and include zip closure to keep your gear stable when you're on the move. Internal pockets sewn into each cargo pouch and twin back yoke pockets are all sized for AR magazines, providing plenty of space for spare ammo. A covert pocket at the inside waistband is sized for a set of flex cuffs, and a handcuff key pocket is hidden at the rear waistband. 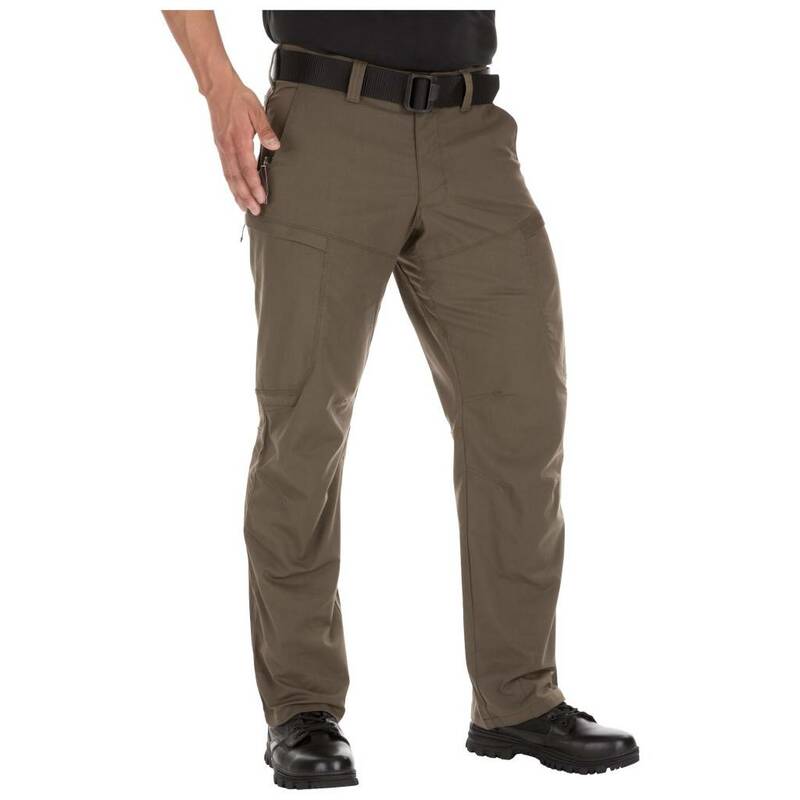 A flexible comfort waistband, seven sturdy belt loops, gusseted construction, and articulated knees ensure complete freedom of movement, and a Teflon® treated exterior repels stains, spills, and soil to keep you looking your best.